The Moscow City Duma has approved plans for a monument honouring journalists killed on the job to be erected outside of the Central House of Journalists near Arbatskaya Ploshchad. The monument, dedicated to those killed in recent conflicts, will be funded by The Moscow Union of Journalists, and will be the second monument in Moscow to commemorate the profession. “There is already a monument dedicated to the journalists who perished during Second World War. 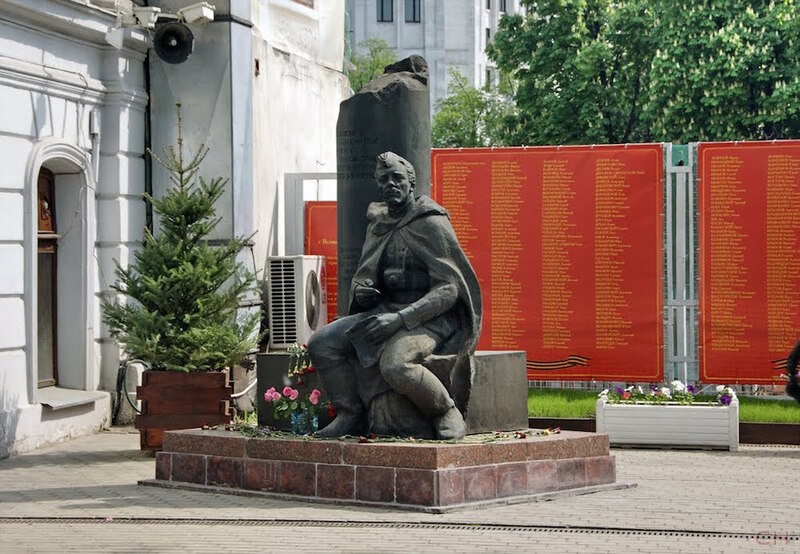 Now we are referring to a monument to journalists who died relatively recently — in Afghanistan and Chechnya and Ukraine,” said Yevgeny Gerasimov, head of the Moscow City Duma's commission on culture and mass communication. The decision to pay tribute to journalists has been in the works for several years, with previous plans to name Moscow's streets after murdered journalists Vladislav Listyev and Anna Politkovskaya. While visuals for the monument are yet to be released, The Moscow City Duma have approved another monument to nurses on the frontline. Russia ranks third in the number of journalists killed over the last decade, behind Algeria and Iraq, which includes high-profile reporters such as Listyev, Politkovskaya and Artyom Borovik all killed on the job.